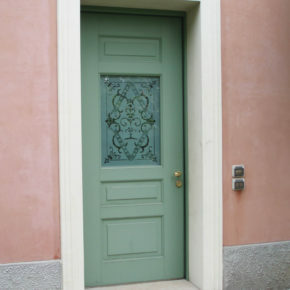 The front door is the first distinctive trait of a dwelling. The one that expresses the personality of the house and its inhabitants. 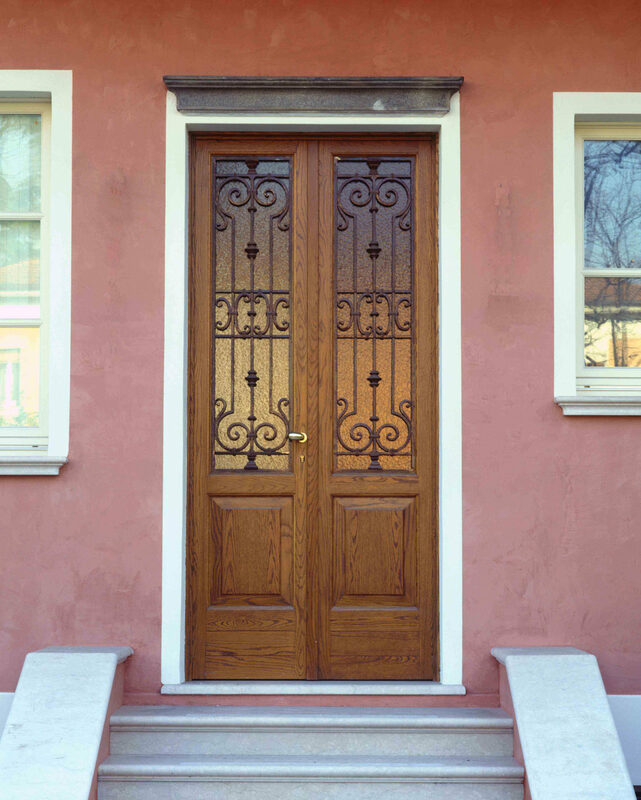 In addition to the aesthetic factor, a front door is supposed to protect us, both from burglars and from bad weather. 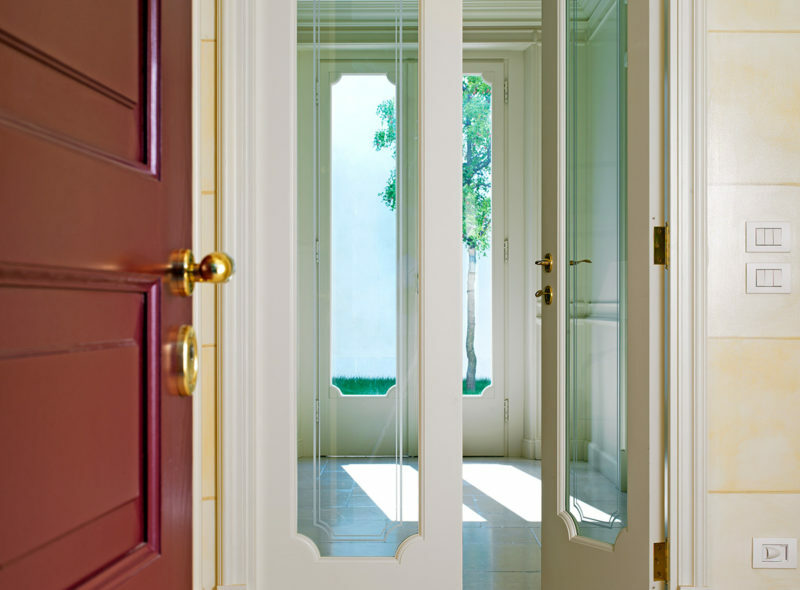 Several different functions contained in Fratelli Maestri’s tailor-made solutions. 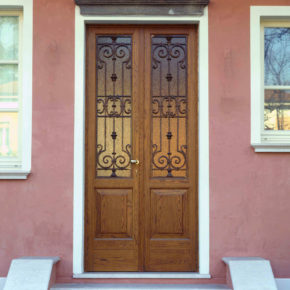 Front doors in solid wood with a rustic or contemporary look, offering varying levels of armoring according to the different safety requirements and special coatings that protect the surface from the effects of the weather. 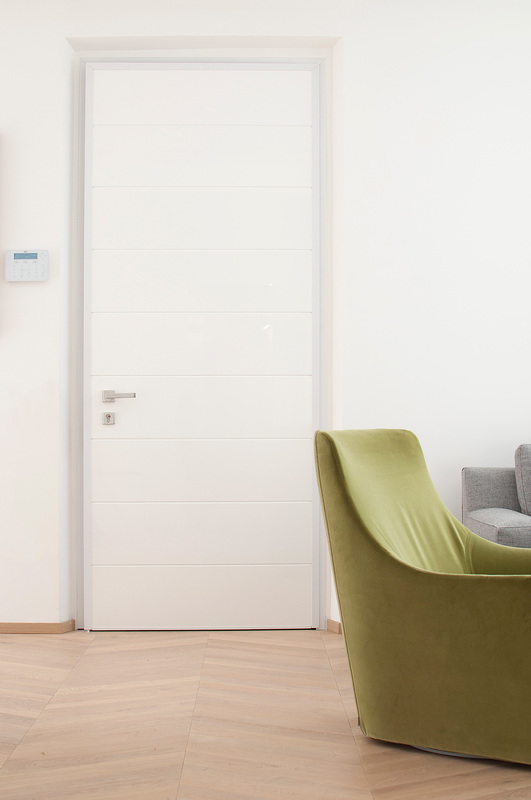 Externally, the front door must respect the architectural style of the building, while internally it needs to adapt to the furniture of the entrance. Two needs that give life to unique solutions, with the possibility to customize every access side. You can choose with us the essence of the wood– among oak, larch and fir – as well as the lacquering and finishes, from a variety of color options. Dark, light, colored, essential style, ashlar solutions or glass inserts. It’s up to you! Frame, barrels, hinges. 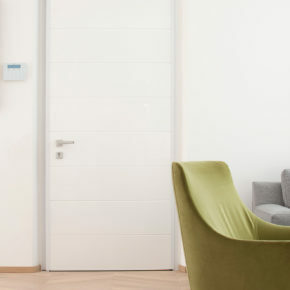 Both structure and hardware of every single component in the armored front doors created by Fratelli Maestri are thought of and built to comply with the highest standards of anti-burglary safety and offer superior performance in terms of thermal and acoustic insulation. Total safety in complete aesthetic freedom. 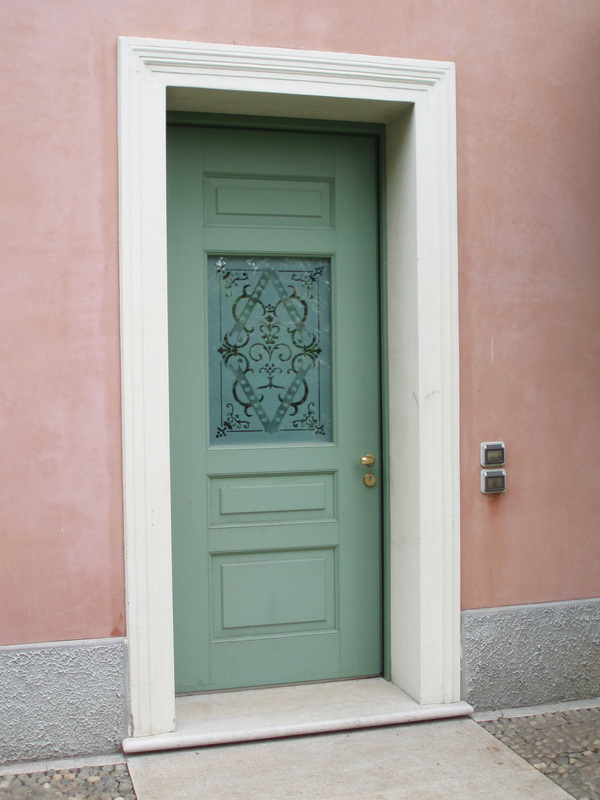 The following are examples of front doors in solid wood realized by Fratelli Maestri. In Brescia and its province, in Italy and all over the world. Now, let’s talk about your projects. Phone at +39 030 2702976, write or visit us. Whether you are an architect, a company or an individual, share your ideas, maybe in front of a drawing. We will do everything we can to make it a reality.